The hokie is fused and machine appliquéd. 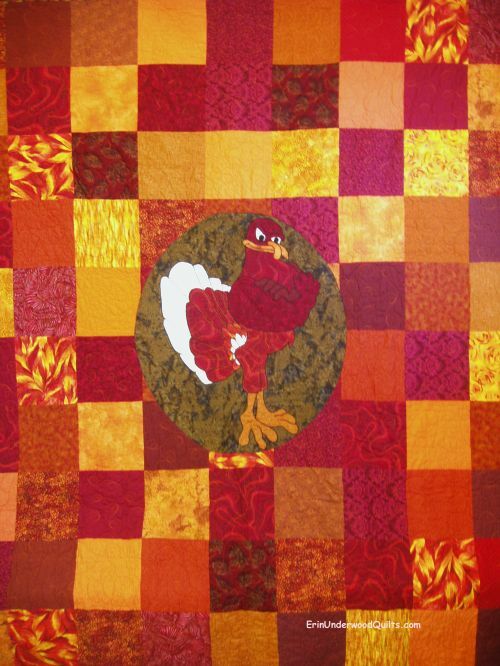 This quilt is currently resides at Virginia Tech, probably wadded up in a ball on top of an unmade bed. Its good to know it is loved.